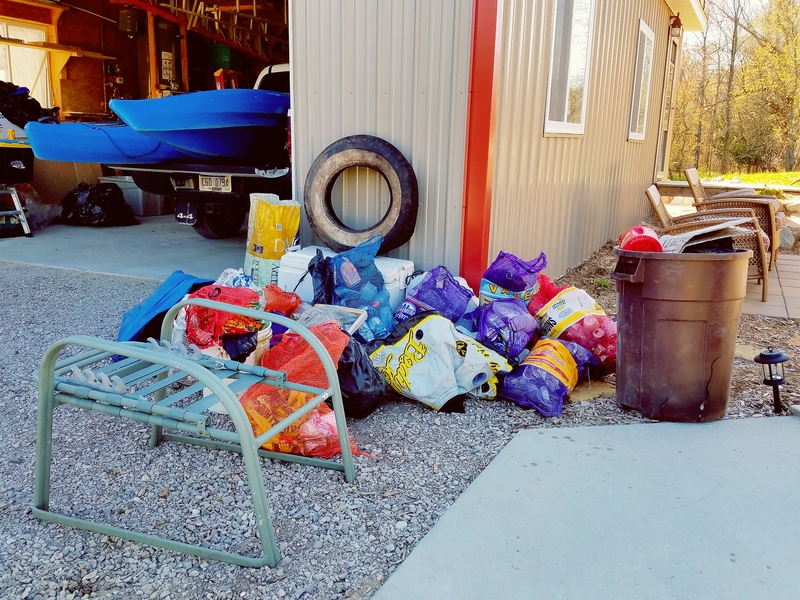 On Saturday, May 6th we did our first Spring clean up, before the foliage was too thick and we were amazed at all we found! The weather was sunny and about 52 degrees, the wind was 25 knots from the northwest, not in our favor. 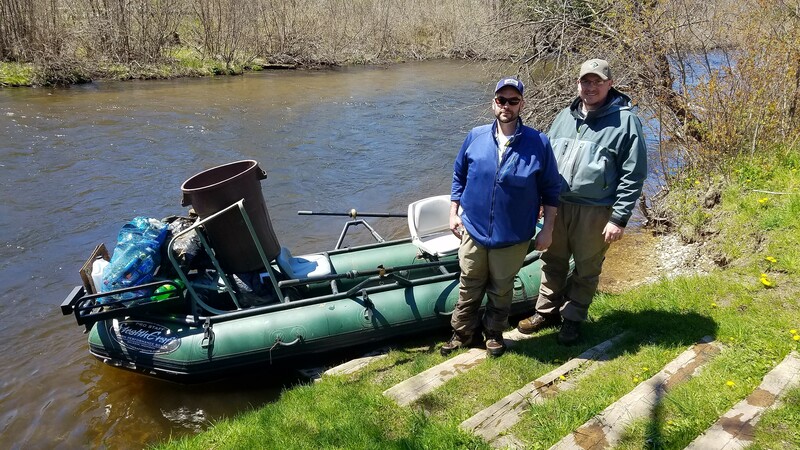 We were fortunate to have Alex Cerveniak from Trout Unlimited contact me about helping out, they were our saving grace! About 12 people from TU joined us and 4 people from Americorps, who also did an amazing job. They were such a positive, interesting group and go-getters, we enjoyed their company! We had about 6 locals who pitched in as well. Then, a gentleman showed up with 4 boys, around 8-10 years of age who walked the banks, picking up trash at many of the river side parks. It was refreshing to have someone teaching kids the importance of pollution and community service. 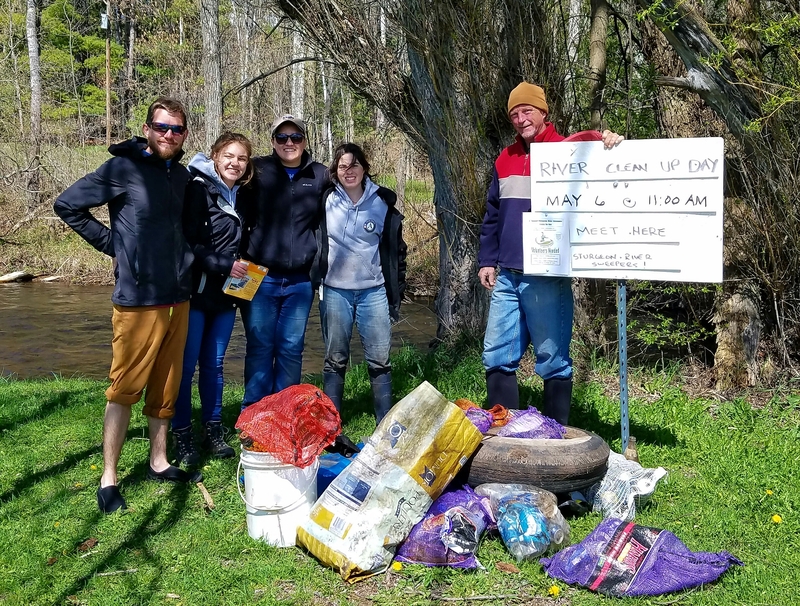 With all of this wonderful support, we were able to clear from Trowbridge to Fischer Woods, which is the farthest we've ever done in one day!!! It was a very exciting productive day, to say the least. Everyone is looking forward to joining us on August 19th as well.